As always, there’s nothing which quite gets one’s own mind moving so much like standing on a voter’s doorstep, ringing the bell, waiting to see who answers if it’s the first-time visiting the address, and then doing your best to give as detailed and as helpful as possible an answer to whatever the question might be. There’s plenty from the last couple of days of the campaign that I’d like to mention in this occasional account of it all which I’m keeping as I go. There’s rather a lot just from the last couple of days but rest assured – I won’t try to put down every last word of it. Thank the Conservative leadership in London for the extra one or two weeks this campaign will run for, testing a natural resource not known for its abundance, namely patience with politician’s words. 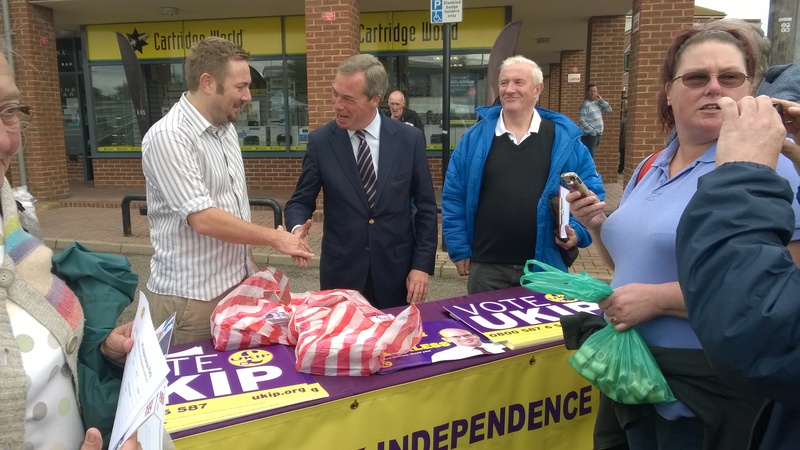 If you’re passing through this page for the details of the big get-together of first-time and seasoned UKIP campaigners alike, gathering for this Saturday’s action day throughout Rochester & Strood, everything you need to know to be there and help out can be found through the last of the entries in this campaign round-up. When I have to choose between talking to a journalist in the office, or talking to a constituent on the doorstep or around the kitchen table, it’s a very easy decision to choose the latter. 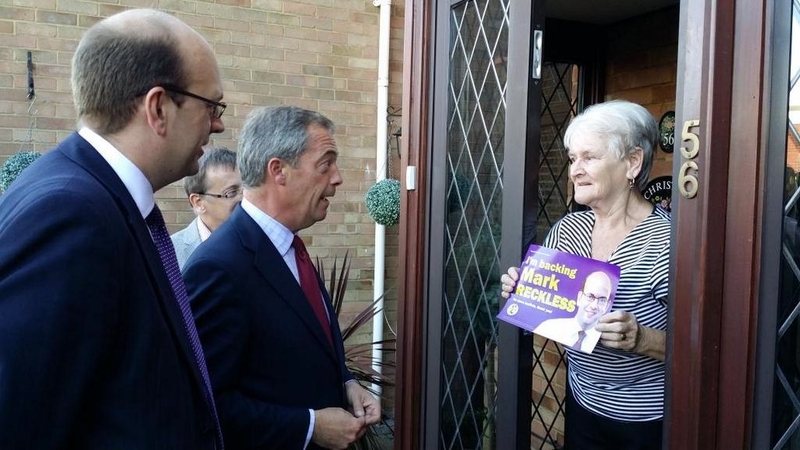 One of the refreshing changes you notice when you join UKIP from the Conservatives is that the UKIP HQ runs on a skeleton staff of hands-off supporters who let the candidate get on with things without endless interference. Nobody gives the impression of owning all the box sets of the West Wing, and if I might allow myself what would be a fairly considerable understatement, that was never the impression I had when the far from understaffed Conservative Central Headquarters was on manoeuvres or on my back. Anyone who had been hoping to throw their hat in the ring here for selection as candidate by the Rochester & Strood Conservative Association, only to learn from the papers before they ever had a chance to do so that a choice of just two hand-picked names had been imposed on the ‘open’ primary, might possibly now have some inkling of why I reached the decision I did. Journalists ask questions to try to learn things, naturally. But you learn a few things by paying a bit of attention the other way – to the questions you’re asked yourself and the telltale signs that someone might not be quite as up-to-speed on the local issues as suggested. For a lot of people, our constituency here in Rochester & Strood might as well simply be named Rochester, for all the love and care some neighbourhoods of Strood receive. I say that because, as is very obvious from the questions some journalists choose after five minutes in Rochester and a walk up the High Street from the train station to the campaign shop, the social reality of life away from postcard-perfect bookshops and a cathedral with a vey fine choir is all too easily overlooked. I don’t mean any great criticism of the press pack when I say this, and it’s always a pleasure to chat about our area’s heritage, but no constituency is necessarily spared hardship or difficulties just because it has loveable old-fashioned tea shops and a Norman castle. I’ll happily talk about King John as often as I have to, though – notwithstanding the excellent efforts of our local historical organisations – I sometimes wonder if we’re doing as much as we could to hand down our island story. Or, for that matter, to talk about the lack of apprenticeships, the challenges facing young people starting out in the world of work, the victims of globalisation left behind by decisions made not just outside their own country but several hours flying time away, or those who have worked and paid taxes all their lives and yet who struggle with something perilously close to poverty in retirement, if not indeed the appalling, authentic real thing. From the local market to the local bird sanctuary in Tuesday. Many of local opponents want to build 5,000 new homes over the environmentally critical local site of special scientific interest that forms a crucial part of the constituency’s environmental diversity. Anyone properly familiar with the issues knows that the Lodge Hill development here is bitterly opposed by local residents. I know this isn’t the sort of future I want for the Hoo Peninsula either. I’m not surprised that a handful of my political competitors have been caught trying to spin a speech I gave in Parliament as some sort of unequivocal endorsement of the project. My top concern when on my feet in the House of Commons that day was to make the case for local decisions being taken in local communities, aligned with the wishes of local people. Unfortunately, you couldn’t say that any of those are things that the Conservatives have delivered for the people – or the birds – of our constituency’s peninsula. I made a point of promising a positive campaign on local issues when I set out to try to do this, so I’m doubly glad that the anger of local residents, focused on a single breathtakingly poorly planned development, was given very considerable exposure in TV on a day that did a lot to raise the profile of the peninsula and the constituency. We had three camera crews present. After that, it was next door for baked potato with cheese and baked beans in the Working Men’s club. The clip on the Channel 4 website about all this naturally doesn’t all go my way – in politics, as so many people pointed out long before me, you have to be both a realist and a idealist – but it gives you a sense of what Tuesday was all about, and indeed, the sheer size of our ad van in the area. If you had a look the clip in the post above, you might have seen Councillor Chris Irvine doing a really good job of explaining why residents living locally here are so utterly opposed to this indefensible project. 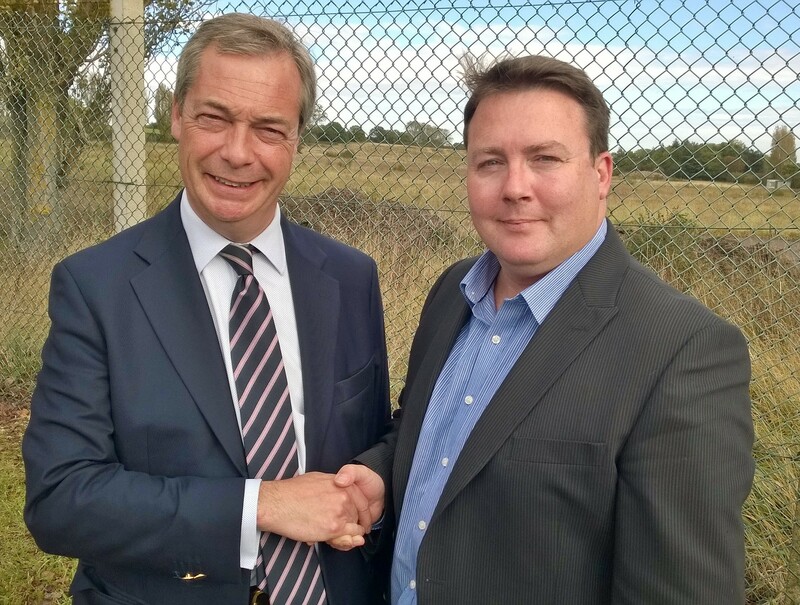 As Sarah Linney details for Kent News in the article at the end of the next link, Chris was one of three former members of the Conservative party who eventually had enough of the Conservative leadership found a welcoming perch aboard UKIP. As of only very recently, for the first time really since Michael Howard, we’re starting to hear a lot from senior Conservatives about migration. For a very long time, that was far short of being a daily occurrence. Several key members collaborated with the Blairite dictates to suppress and silence all dissent from the policy of mass migration into Europe. Some of the suggestions are even reasonably sensible on their own terms, or at least would be, if they didn’t all run up against the complete necessity of rescuing ourselves from European project first. How many senior Conservatives are truly prepared to campaign for British exit if David Cameron is on the other side, as he would be, come hell or high water? 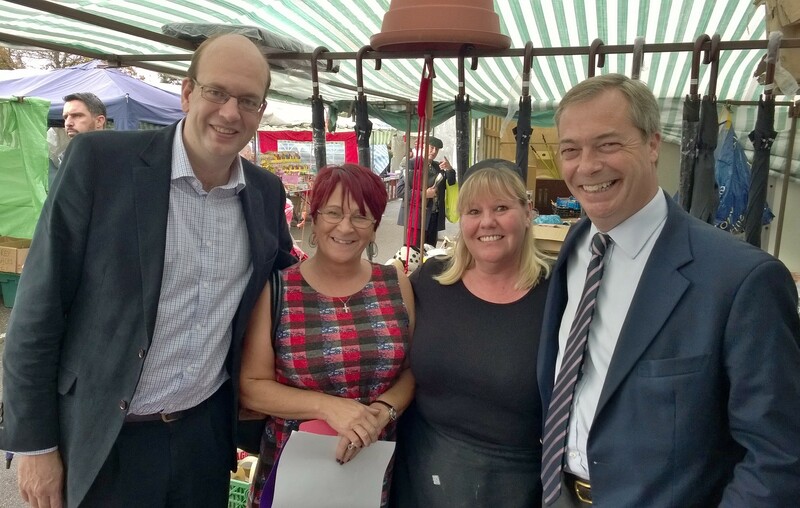 Saturday’s campaign launch with Douglas Carswell and Nigel Farage is still very fresh in memory. All parties have at least a trace of tribal instinct, but as we stepped out of the campaign shop on the High Street, it felt a lot like a family day out as well. I would love to see just as much goodwill and good-natured campaigning at this Saturday’s action day, no matter how negative any of my opponents chooses to go. The other parties may not be able to win the argument any more, but they’re still able to turn up the heat. Whether it’s your first time on a political campaign or you’ve worn down plenty of shoe leather over the years, do come, be there, be part of it. I was not prepared to remain the MP for a party that betrayed my commitments and the trust of those who voted for me. Nor was I prepared to move without putting that decision before the people locally to make the final call. But we cannot let David Cameron’s Conservatives kill dead at Rochester the political change that could soon come to many places in the country. The UKIP message is the best of Britain and the future of Britain. Let’s take it to the doorsteps this Saturday. This entry was posted in rochester and strood and tagged conservatives, Kent, Labour, mark reckless, Medway, politics, rochester and strood, UKIP. Bookmark the permalink. 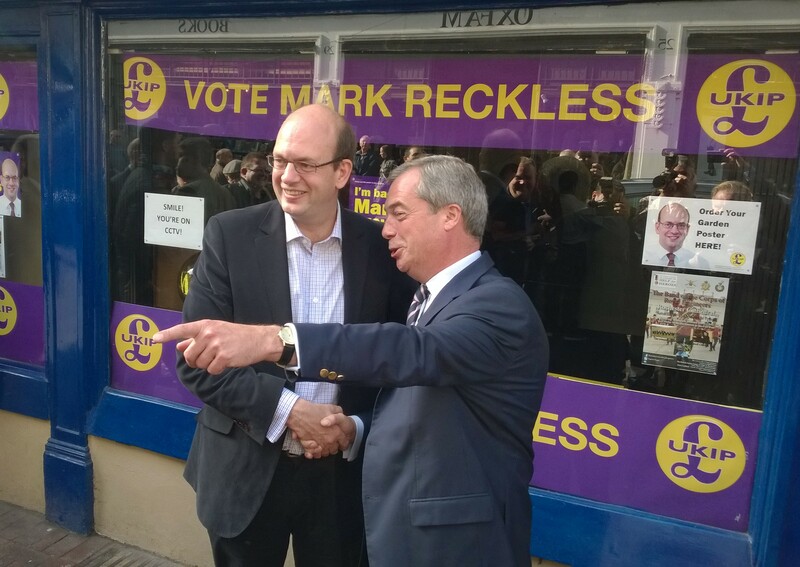 You deserve the title The Right Honorable gentleman for Rochester and Strood. You did more than cross the floor; you earned the respect of millions by asking the constituents to reelect you. Well done and good luck. If you win this by-election, you could well end up being the catalyst for a massive and permanent upheaval of British politics. If I were eligible to vote, you could count on me to do so. I wish you the very best of luck. What you have done is very brave and honourable and has given hope to many who have lost all faith in our current political establishment. Thankyou Mark, I too wish you the very best of luck and good fortune. As a Kentish Man and proud to be so, I wish you the very best and Nigel Farage comes from Downe near Biggin Hill ( of Battle of Britain fame) and I come from Ightham near Sevenoaks (close to West Malling also BOB fame). I know them well. My wife and I would vote given the chance but that was taken away by Blair for which I will never forgive him amongst many other things. Honesty and integrity cannot be bought or forced by a whip ! Then you understand that the EEC/EC/EU has helped prevent war for many, many years across Europe – so you want out??????? ?